Linda Jackson: "We see the C4 Cactus as the first example of where we want the brand to go." 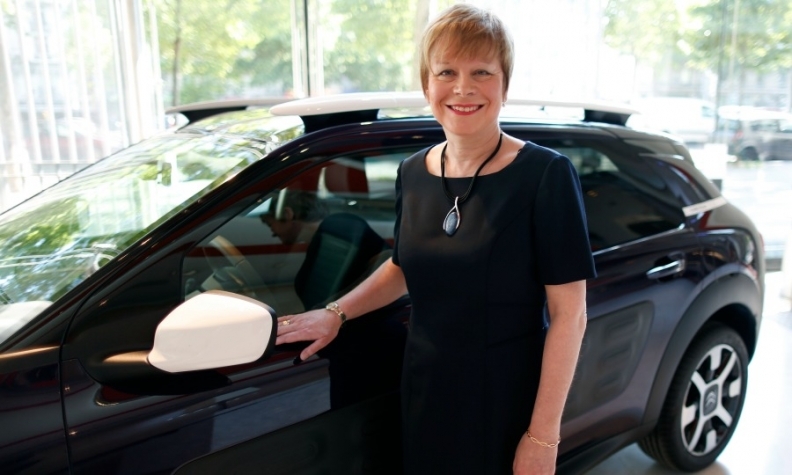 Citroen's new CEO, Linda Jackson, has a tough task ahead to ensure that the brand is successful in the highly competitive mainstream market now that its upscale DS line has been made into a stand-alone marque. A key to the brand's future will be offering models that offer technology that is useful. Jackson, an English national, is the first woman to lead the brand and the first non-French executive to hold the post. Jackson spoke with Automotive News Europe France Correspondent Bruce Gain. What are your priorities for Citroen now that DS is a stand-alone unit run by your colleague Yves Bonnefont? It is a good opportunity for Citroen to go back to what we were always extremely good at, which was designing cars that offer an innovative difference. Citroen is renowned for its design at affordable prices for mainstream customers. We clearly need to focus on our four key pillars: design, creative and useful technology, comfort and our optimized budget initiative. Could you provide more details on your optimized budget initiative? For example, in Spain, customers pay a certain amount, which covers costs such as insurance and parts replacement. This way, the customer can spend what they want to spend. If they want to spend more, they move up a level. In the UK, insurance is very expensive, so we offered the previous C1 with an insurance deal for 18-year-olds. MAIN CHALLENGE: Using innovative sales offers to reduce reliance on discounts that can hurt the brand's image and bottom line. 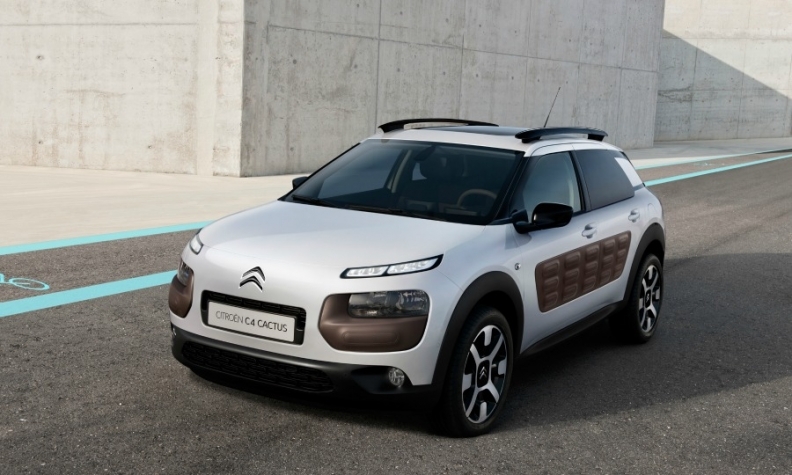 Jackson says the airbumps featured on the C4 Cactus, pictured, will become part of Citroen's signature. What is the focus for new Citroens? We want our customers to be at ease when they are sitting in the car. We need to offer technology, but we want it to be useful. Cars now have so many gadgets that half of the customers don’t know how to use them. What we are trying to do with the C4 Cactus and future vehicles is to offer technology that is useful. So the new C4 Cactus is the coming-out party for the new Citroen? That is exactly it. We see the C4 Cactus as the first example of where we want the brand to go. In the UK, you reduced image-and profit-harming discounts? Will you focus on this in the rest of Europe? Yes. Offering discounts does not help Citroen as a brand. We need to move forward by having innovative offers, such as the C4 Cactus’ monthly rental program. We don’t want the situation where the customer goes to a Citroen dealership and they don’t know what they are paying for and have to negotiate the price. PSA CEO Carlos Tavares wants to shrink Citroen’s lineup to seven models by 2022 from 15 now. Which models will Citroen concentrate on in future? Citroen needs models that can be sold in Europe and in other regions. We currently don’t have many models that cover all of those areas. Reducing the number of models makes sense when you take a common platform and model to cover a number of zones. What you then have to do is choose whether a particular model must be a crossover, a SUV or whatever. It is too early to say what we will do. Will the next C3 subcompact get a makeover similar to the C4 Cactus? We will not be niche but will look at a suite of vehicles that will cover the whole range of mainstream customers. We also have a wide range of loyal customers whom we obviously want to keep and our product portfolio must meet their needs as well. The C4 Cactus has air-filled plastic panels on the doors and bumpers to protect the bodywork from minor collisions. Will these so-called Airbumps be offered on other Citroens? Very possibly. It is unique to Citroen, so why wouldn’t we think about using that for other models. Will we use it for every model? That depends on where the model is in the segment. But the Airbumps will become part of Citroen’s signature. Will you build a C4 successor? We do not yet have a new C4. This is part of the debate. We are in the stage where we are looking at which models, segments and customers we are targeting. What are Citroen’s plans for the large-car and midsize segments in Europe now occupied only by the C5 after the C6 was dropped in 2012? That will involve how we develop platforms that will cover China, South America and elsewhere, as well as Europe. China customers prefer large-type vehicles so if there is an opportunity that is something that is in the melting pot. Why won’t the C8 minivan be replaced? We believe we have something in the C4 Picasso seven-seat model that will be able to answer that demand.